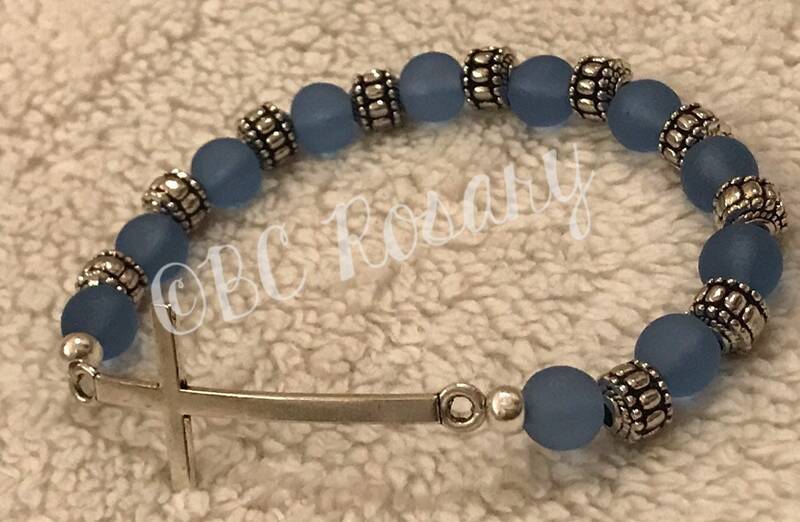 Silver metal cross anchors this stretch bracelet. 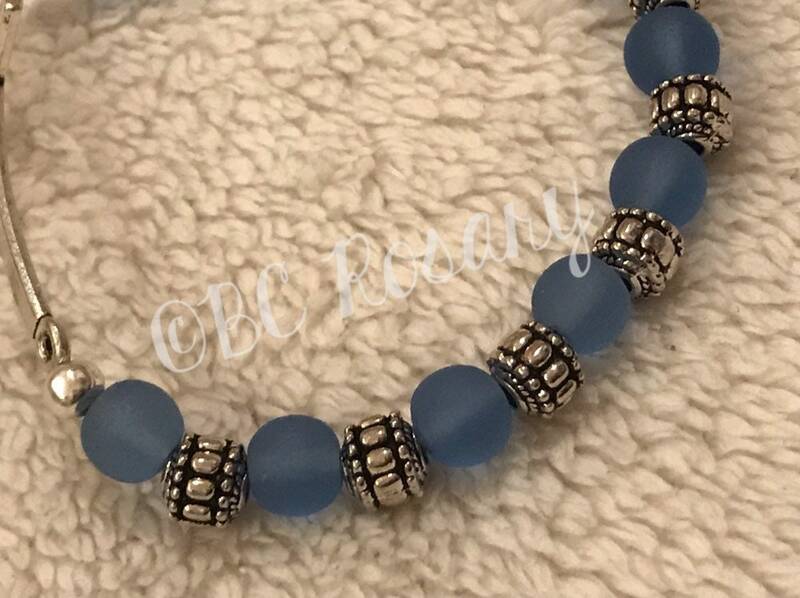 It features 8mm Blue Recycled Glass beads & antiqued silver accents. 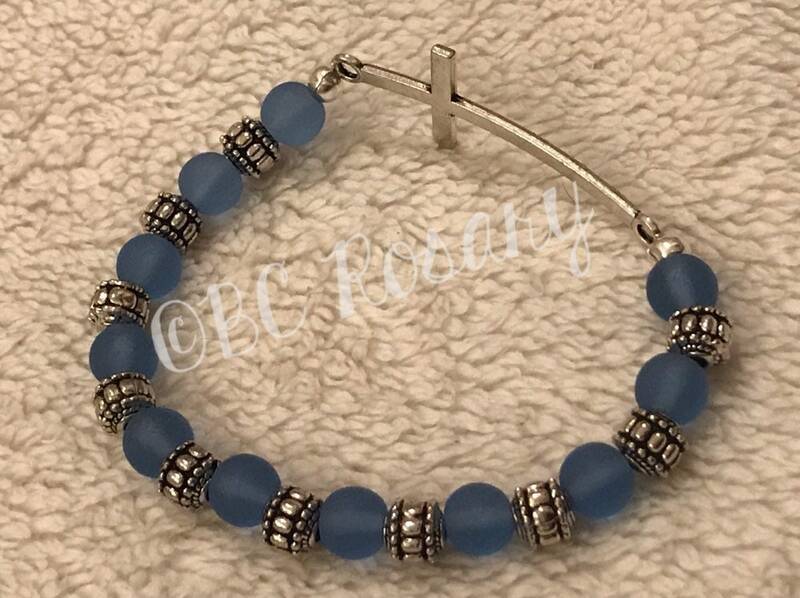 This bracelet stretches to fit 7.5 -8mm inch wrist. Please contact for a larger size wrist.